A Sheffield company’s rich heritage is being beamed all over the world – just in time for its centenary celebrations. Dormer Tools, based at the Advanced Manufacturing Park at Waverley on the Sheffield-Rotherham border, has discovered three old documentary films about the company’s operations from the Yorkshire Film Archive and they have now been adapted for use on YouTube and other social media outlets. 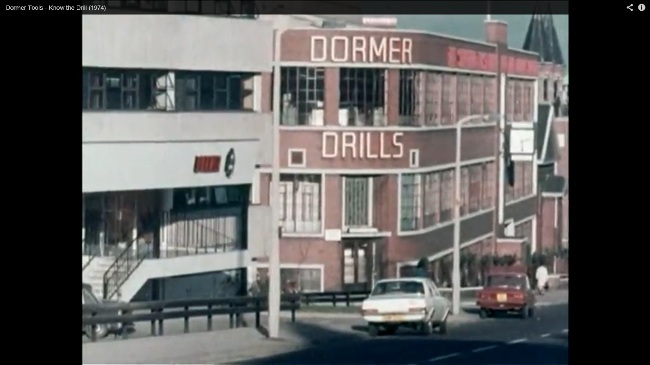 The promotional films, from the late 1960s and early 70s, were originally produced for Dormer by Sheffield company Mottershaw Commercial Films. We were delighted to discover the films in the vaults of the Yorkshire Film Archive because they tell us so much about the products and manufacturing processes in use at that time. They form a very important part of our past and to have them available for global use, particularly when it is our centenary, is fitting because our products are used all over the world and our name and reputation is internationally known. The films are also historically significant for Sheffield, whose world-renowned traditions were built on this kind of manufacturing. Two of the films show the different uses for twist drills and how they are produced and the third, which focuses on taps, has a Hollywood musical – style opening, with lines of dancing steel taps descending a stairway and performing a can-can. One of the twist drill films, titled ‘More to the Point’, is narrated by former BBC newsreader and presenter Richard Baker. Dormer Tools Ltd, originally formed as The Sheffield Twist Drill Co. Ltd, celebrates its centenary this year and Simon is asking for anyone with any Dormer memorabilia to e-mail him at: simon.winstanley@dormertools.com.